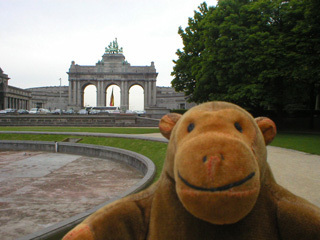 "I suspect that this should be damper"
Coming from the Merode subway station, Mr Monkey scurried into the Parc du Cinquantenaire from the back. Apart from a rather large arch, the first thing Mr Monkey noticed was a large pool, which was notable for its total lack of water. 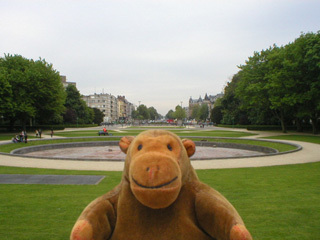 A couple of Parc officials were shouting at children playing in the empty pool, and Mr Monkey wondered if they thought the water was going to reappear suddenly.